Mostly crackers are made with maida. 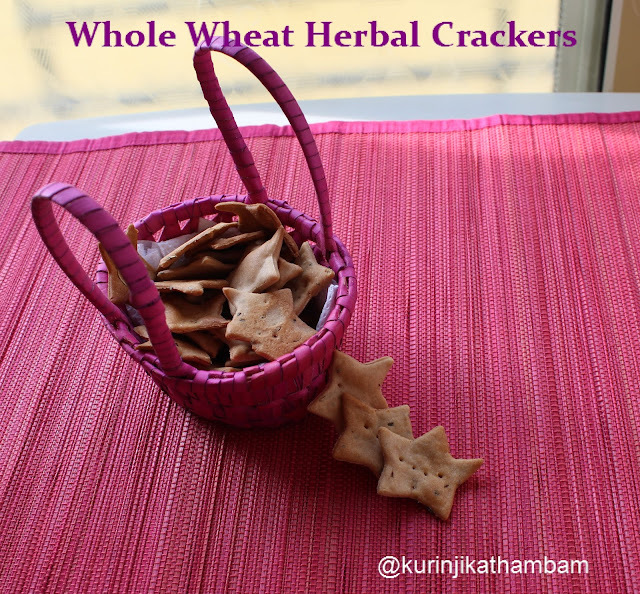 I tried crackers with whole wheat flour and also added mixed herbs used typically in Pizza. The herbs induced a nice tempting aroma. 1. In a wide bowl, add wheat flour, butter, mixed herbs and salt. Mix them well with your fingers. 2. Then add water little by little and knead it into a soft and pliable dough. Keep it aside for 10 mins. 3. Then roll the dough into 3 mm thickness circle using rolling pin on the dusted surface. 4. Cut the rolled circle using the cookie cutter or bottle cap. 5. Take out the crackers using the flat spatula and keep it on the un-greased baking tray. Leave ½ inch space between the crackers. 7. Preheat the oven for 200 degree Celsius. 8. 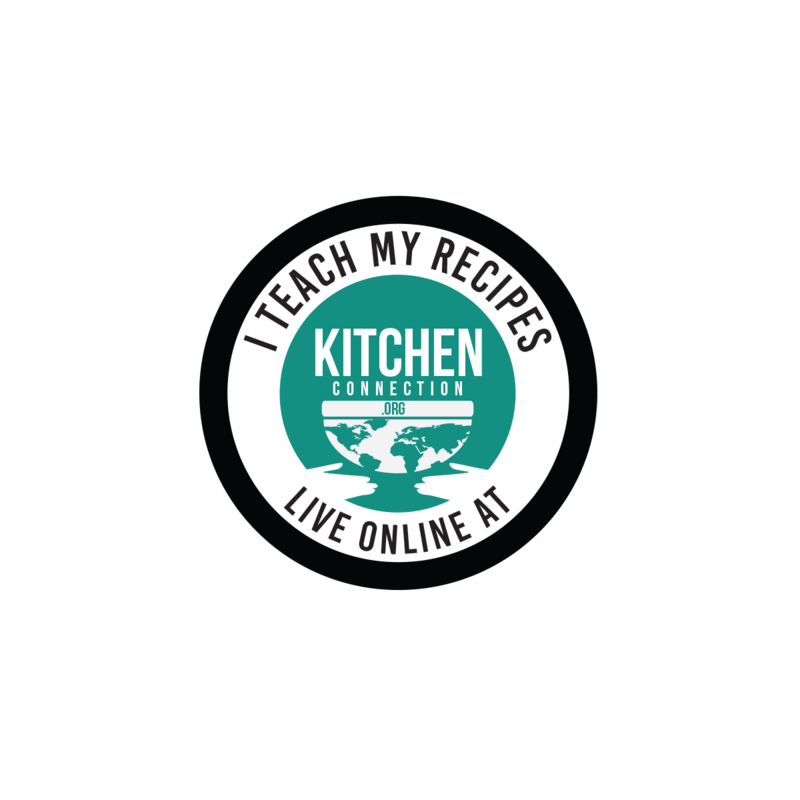 Bake the crackers for 10 – 12 mins at 180 degree Celsius. 9. Allow it to cool down completely and then take them out from the tray. 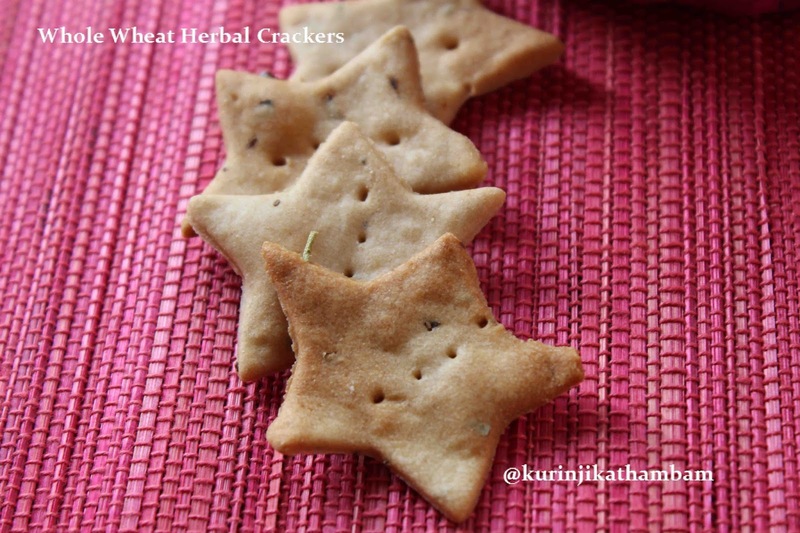 Delicious and aromatic crackers are ready to eat. 1. Use herbs of your choice. 2. Use Maida instead of wheat flour. Crisp and it crackles in your mouth ... wow awesome !! !